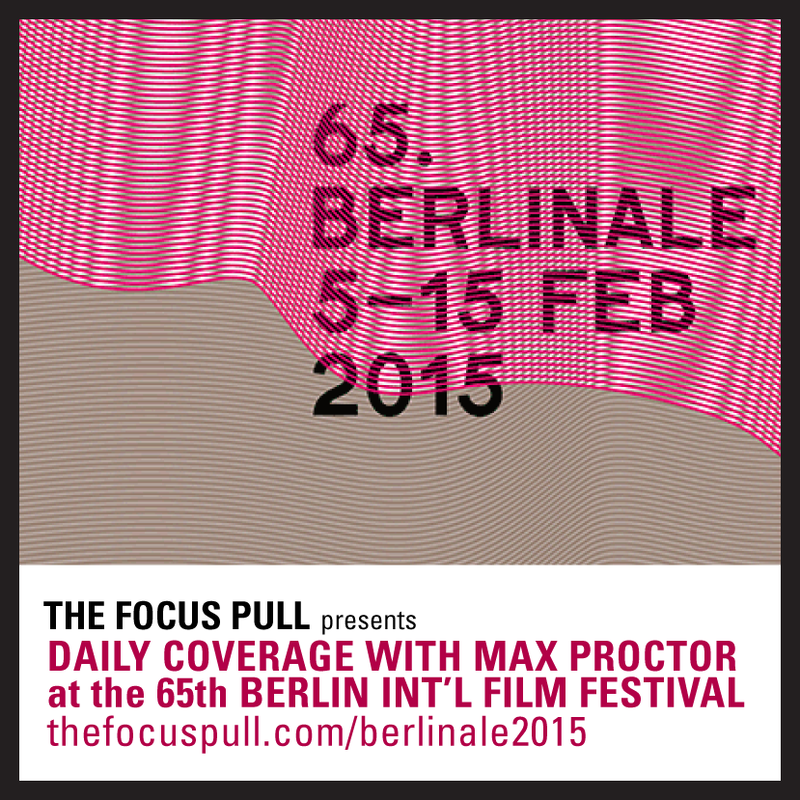 Editor’s Note: It can be overwhelming to approach a historic filmmaker’s catalogue of work. Our “Where to Start” feature calls attention to the most essential films by a director with a notoriously large filmography. Catch up with these five films and you’ll have a solid understanding of the director’s style, appreciation for their notoriety, and a few speaking points for any discussion on cinema. With over fifty (to much confusion, similarly titled) films in his canon, delving into the director dubbed “too Japanese” for the world can be a daunting task. Ozu has long since been regarded as the most prolific of Asian directors and his work has been discussed by scholars and fans alike. The films are not ranked in any particular order and it should be noted that these are not necessarily what I believe to be Ozu’s best works, but rather the ones that have come to define what his canon, his philosophy and the man himself are truly about. We will begin our list with the most obvious, the most acclaimed and arguably most important work in a 50 strong long arsenal. Tokyo Story didn’t open in New York until 1972, Ozu had once been dubbed “too Japanese” for the Western market, even after the success of his piers such Mizoguchi and Kurosawa. However since the films release it has dominated “best of” lists, featuring inside the top 10 of Sight and Sounds decennial list since 1992 and topping the 2012 directors poll. It has long since been a checklist film among film lovers to admire and tick off. However to simply place it amongst the halls of fame would is to alienate oneself from the film’s triumph of style, gentle melodrama and philosophy. The plot (which one needs no reminding is different than narrative) focuses on two elderly parents taking a train journey to Tokyo to visit their children. Over the course of their stay, they find themselves a nuisance and ultimately brushed aside by their children, with the exception of the widow of their third eldest son. On the returning journey, after coming to terms with their disappointment in their children, the mother falls ill and dies. Tokyo Story represents the pinnacle of Ozu’s essentialist narrative, in which major plot events take place off screen and in their place is a ‘pillow shot’ of the everyday. It is in these moments of what we do not see, that we find the films narrative. Ozu was fascinated by the zen term mu, the negative space (or the void), and here he uses this space to create a sense of the inevitable. Yet Tokyo Story is one of Ozu’s most universal stories; the disappointment of life and quite melancholy passing of time. The children aren’t necessarily cruel or heartless, they just have their own lives to lead. In post-war Japan family values have been afflicted by the changing speed of life, something the older generation has no place in. Setsuko Hara, in her final Noriko role, speaks directly through the camera and says ‘Isn’t life disappointing?’ but as the passing of a train suggests, it goes on. 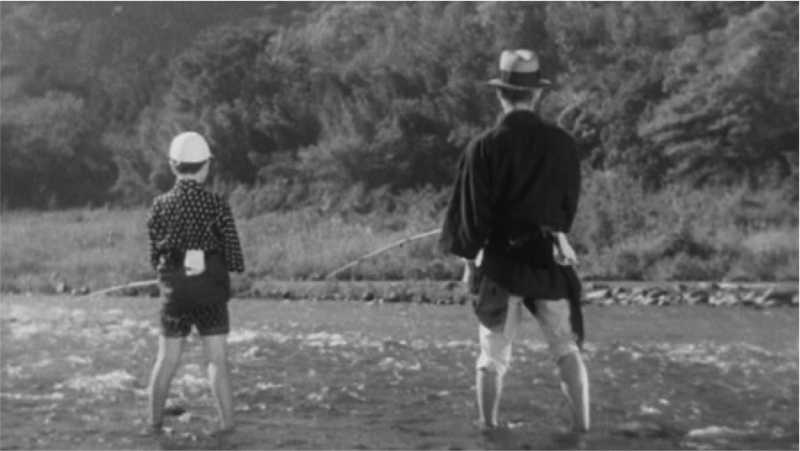 There Was a Father stands uniquely amongst Ozu’s canon because of the social and political context that surrounds it. Ozu had been refining the script for sometime before finally committing to production in 1942. It one his only two films produced during wartime, (the other being The Brothers and Sisters of the Toda Family) the year after he was stationed in Singapore until 1946. Though Ozu’s own thoughts on Japan’s militarism and the invasion of China are left ambiguous, the film was considered the perfect vehicle for promoting national policy by the Censor board. Ozu had intended to make an army comedy, but his soldiers were not in line enough with the ideal projected image. The plot focuses on a Shuhei Horikawa played by regular Chishû Ryû as a self-sacrificing father who, after a student dies under his care, resigns his teacher’s post in order to provide the best possible life for his son, even if that means their separation. Ozu himself was separated from his father as a teenager, but Ryohei Horikawa (Shûji Sano) is by no means a vessel for autobiography. Ryohei plays the role of the dutiful son, whereas Ozu would more easily align himself with the children of I Was Born, But… or Good Morning – a regular troublemaker. Mito Mitsuko who plays Ryohei’s bride has perhaps the most uncomplicated performance of any of Ozu’s women, obedient and fulfilling. This is a film after-all, and rarely for Ozu, about the bond between father and son. Thinly veiled smiles give way to tears and intense longing in a way that evokes Ozu’s early comedies. This gentle masculinity feels not like a propaganda piece but rather a poetic reflection, reacher from the understanding of maturity. 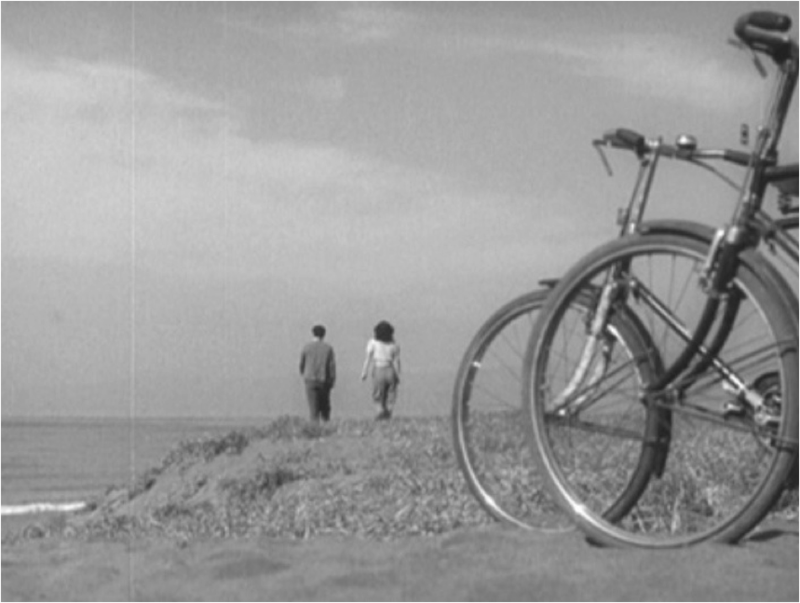 The result is one of Ozu’s most moving. If There Was a Father was a film in which political and social context became intrinsically linked within the films narrative, then Late Spring, the first of Ozu’s “marriage films” shows how this social conscious bud developed. It is rather commonly accepted among scholars and fans alike as his most perfect film. 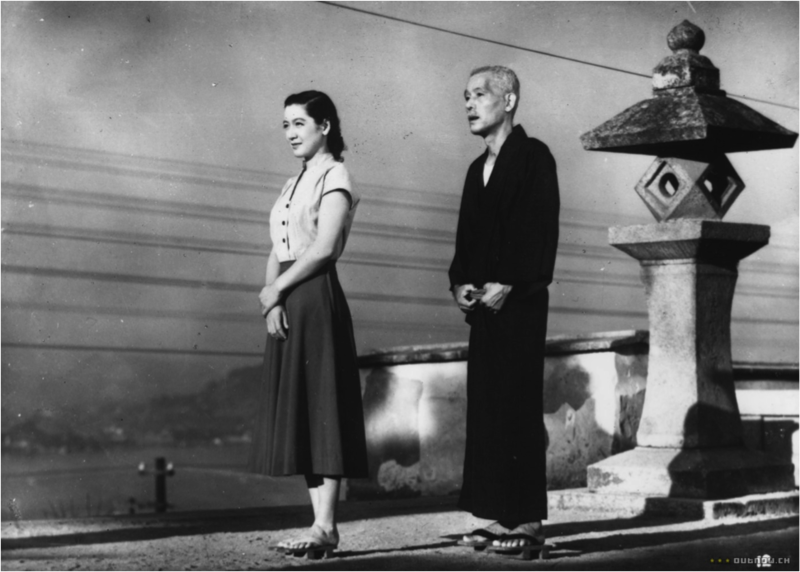 It features his two accomplices, Chishû Ryû and Setsuko Hara, in a narrative that Ozu would revisit time and time again, as an aging widower attempts to coax his daughter into getting married. Post-War Japan was a nation adrift in uncertainty. Like other countries across the world a generation of men had been lost and the women who had worked the factories and shops were reluctant to return home. It seems fitting that Ozu, the most Japanese of directors, would be the first to catch on to the rapid infiltration of American culture, in a handbag or a Coca-Cola sign or more importantly, a challenge to traditional societal value of marriage. Marriage in a number of forms is discussed over the course of Late Spring, and it repeatedly ends in resounding negativity. Ozu, one must be reminded, stayed single his whole life. Noriko continually defies her father’s attempts to arrange a marriage, until he breaks her trust and concocts a phony remarriage to sway her hand. 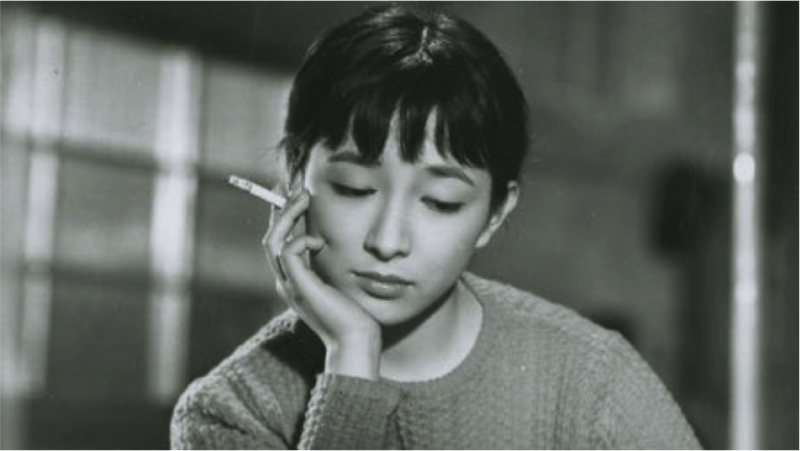 Those who refer to Noriko as a saintly, loyal daughter are too quick to condense Ozu’s characters to symbols. The complexities of the human condition are hidden in gestures or the quiet temperance of the everyday. Noriko continually displays stubbornness, traits of jealousy, and possession over her father’s right to remarry, though it is all veiled behind a smile. It also signifies the beginning of Ozu’s development into stylistic maturity into one of cinema’s great masters. He breaks down the domestic quarters into a series of frames within frames, creating a formal, lived in space for his characters to inhabit. Meanwhile his disruption of the 180 degree rule proposed in Hollywood is illustrated no better in a playful, if confusing, scene where two characters work out the direction of the sea. However as Ozu favoured match cutting, they end up pointing in the same direction. Though it may sound preoccupied with serious issues, it begins with moments, however brief of total tenderness, a bike ride along the sea (a budding relationship that goes nowhere) or a Noh theatre production. Eventually these give way to a profound sadness, clutched in the peeling of an apple. It remains one of the most powerful and sublime family portraits ever presented on screen. One could argue at the inclusion of this late comedy from Ozu over some of his more critically lauded work but I felt it necessary to give a better overall picture of the director. Unbeknownst to many, Ozu began his career emulating Harold Lloyd comedies with films such as I Flunked, but… Good Morning then, his second colour picture and a misplaced picture among his later works, represents a return to his youth, albeit with a more mature and socially conscious gaze. Yet there is a wholesome sense of boyhood happiness that prevails — even if it is only momentary — over the more serious observations. The film focuses on the desperate attempts of two brothers who live in a cramped suburban plantation to get their father to buy them a television. Fart jokes, vows of silence and that particular flavour of the idiosyncratic that colours neighbourhood characters are all layered in a sort of nostalgia. Yet Ozu does recognise the changing of the times. The American invasion has continued, and the father believes that the television ‘will produce a 100 million idiots.’ Meanwhile the patriarchy is being challenged, the women gossip maliciously, the bohemians have moved next door, and why should the boys want to speak when the all the adults offer are empty, ritualized phrases? Good Morning is gently satirical, but never directly political. 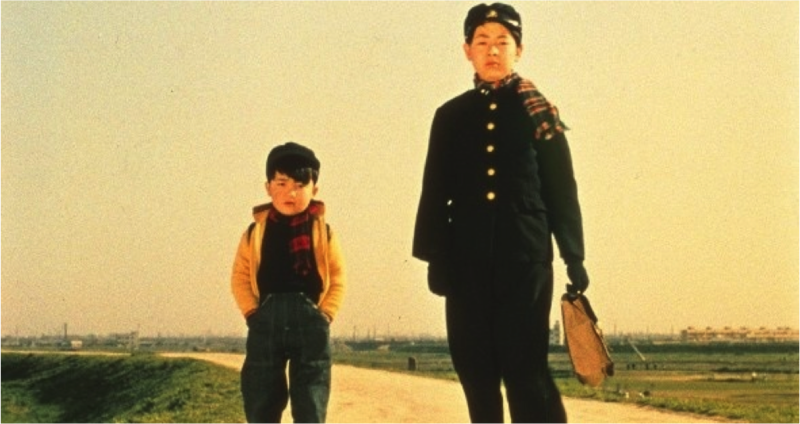 The film almost feels like a remake, or rather a revisiting to Ozu’s early silent boyhood comedy, I Was Born, but… in which two brothers lose their innocence when they learn their father is a factory joker and not the captain of industry they believed he was. In both features Ozu displays a sublime understanding of visual and slapstick comedy that are perfectly underscored by the directors acute aesthetic style. As a former rebellious teenager himself, Ozu compassionately identifies with these boys, but still manages to make fun on their behalf. 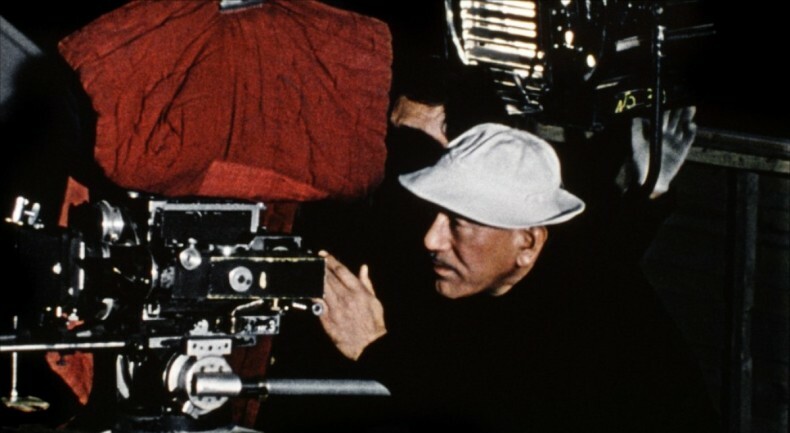 Towards the end of his career Ozu’s domestic features became infused with melodrama, as he was encouraged to focus on the younger generation to appeal to the youth market. This culminated in Tokyo Twilight, his last black and white picture is fittingly and historically bleakest film. It was thought of as too cruel upon it’s release in 1957, being the only film of Ozu’s not to feature on esteemed the Kinema junpo annual film poll. The family at the heart of the picture is a skeletal wreck, with three generations being clung together by patriarch Chishû Ryû. His oldest daughter, Setsuko Hara, has returned home with her own child after the breakdown of her marriage, while his youngest daughter, Ineko Arima, has found herself pregnant out of wedlock and desperately trying to locate her boyfriend in one seedy bar after another. When the girls’ long lost mother shows up in a mahjong parlour, things take a turn for the worst. Sensationalist, in an Ozu sense, the film is far removed from the gentle domestic scenes of his previous work. Infidelity, abortion and suicide make up the proceedings as Ozu swaps out the homes and temples for bars and docks. The director himself claims his condemnation of the younger generation is just a parallel and Ryû remains at the films heart, but it is hard to contest the idea that he is passing a sort of moral judgment on the kids in this film. Regardless, it stands as a pivotal moment in his oeuvre, decidedly unlike his other films it retains a compelling power as an example of an artist plunged to the his very depths.